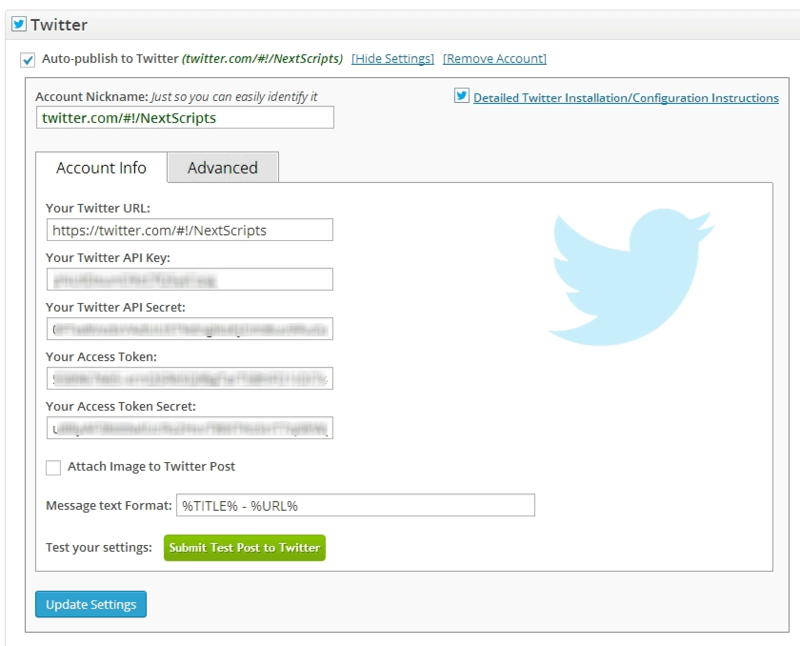 Twitter uses OAuth to provide authorized access to its API. You need to create Twitter application with “Read and Write” access level and get “API key”, “API secret”, “Access token”, and “Access token secret”. 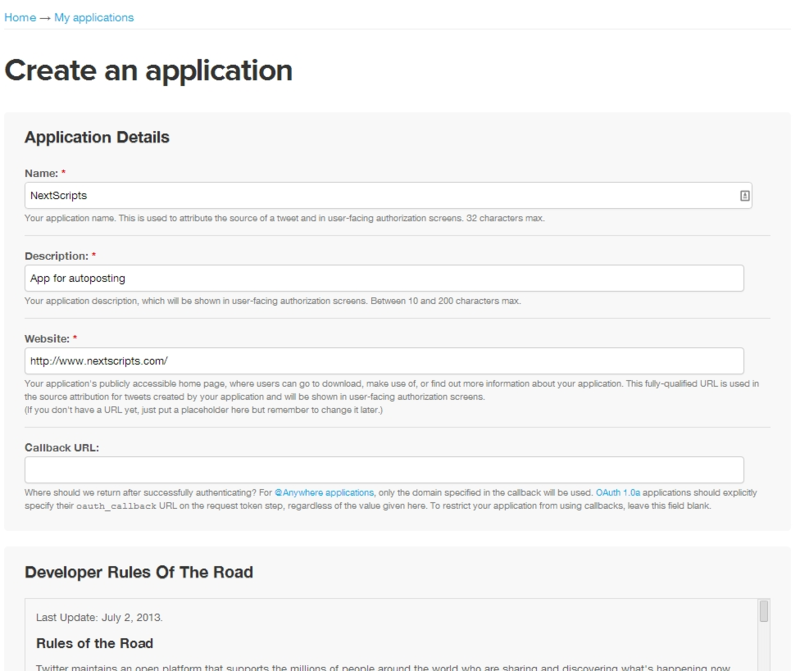 There is no need to separately “authorize” your blog, just enter all applicable info. 1. Create a Twitter App for your website. 2. Go to the Developers website: https://apps.twitter.com/ Sign in again if asked. Click “Create a new app” button on the right. 3. Fill details, click “Create your Twitter application”. 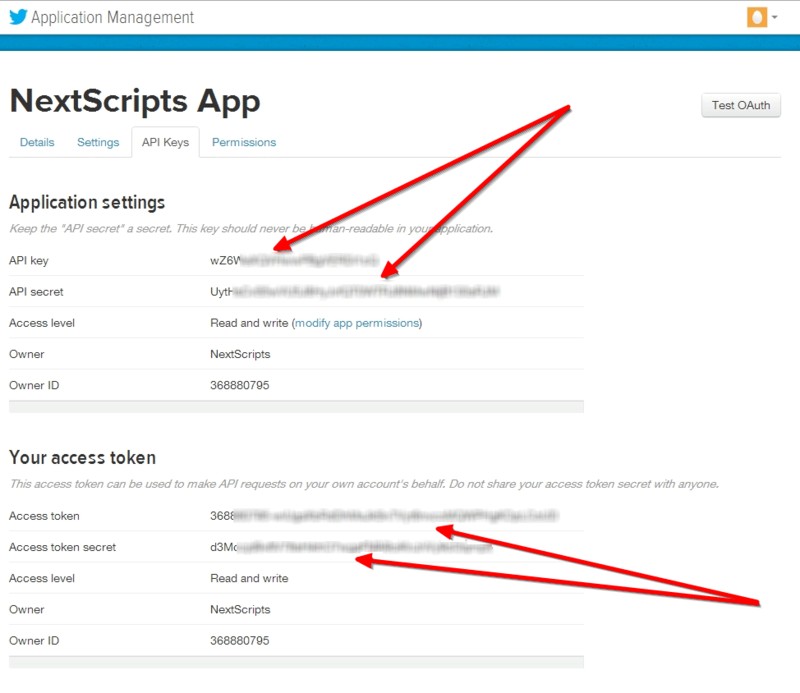 Please use your own information for the next step, don’t literally re-type “NextScripts Blog”, “NextScripts.com” and other sample info. If you install the official mobile application on iOS/Android phone, then you can login to the website with mobile number and change permissions from “read” to “read/write”. 1. Install and sign in to the official Twitter app on your iPhone or Android phone. 2. Assign your phone number to your twitter account inside that app. 3. Come back to twitter.com from your PC, logout and login with your phone number instead of your username. 4. Go to the dev and change permissions. You won’t be asked for SMS confirmation. 5. Click “Keys and Access Tokens” tab. 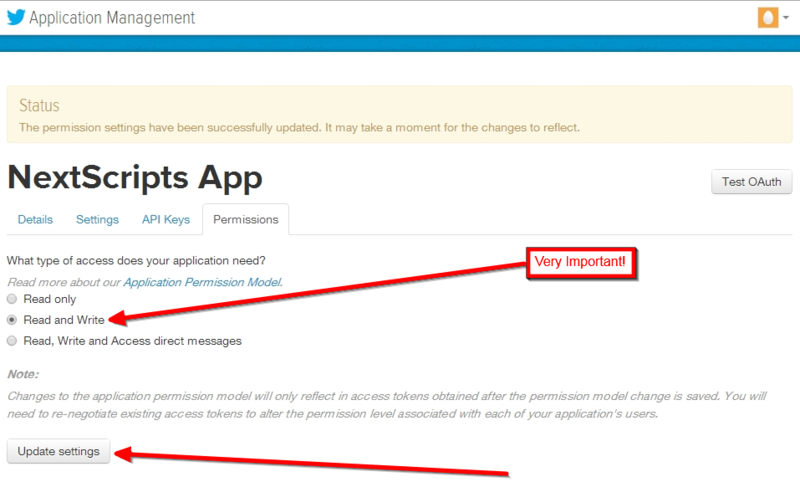 Click “Create my access token” button at the end of the page. 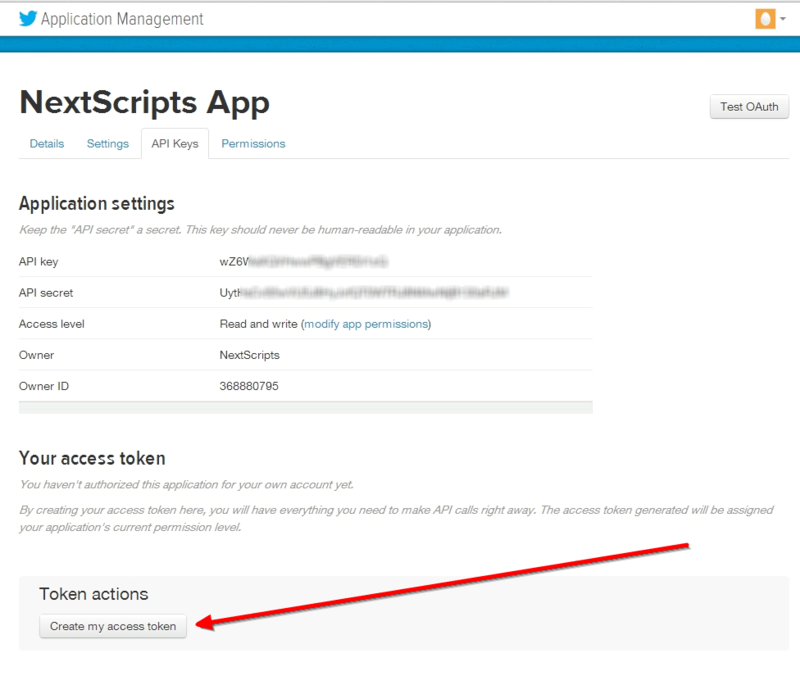 – Notice API key and API secret as well as “Access token” and “Access token secret” on this page. 2. Connect Twitter to your WordPress. 2. Check “Auto-publish your Posts to your Twitter Page or Profile” checkbox. 3. Fill your Twitter URL. 4. Fill “API key” and “API secret” from step 5 above. 5. Fill “Access token” and “Access token secret” from step 5 above. 3. Your Twitter is ready to use.